The outfit-delivery service’s shares fell 29 pct despite profit that beat expectations. That’s because tech valuations hang on terminal value – the cash flows that come once the business is mature. Slowing customer growth raises doubt about whether this one will reach middle age. 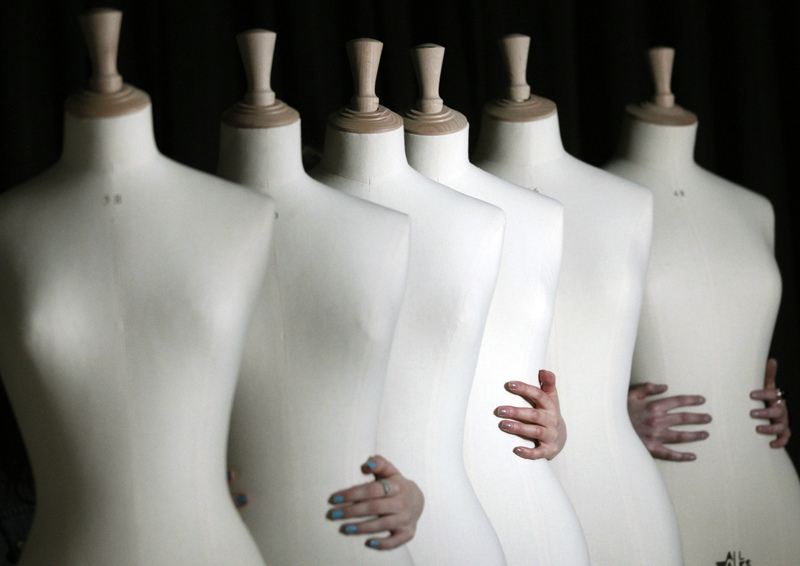 Fashion students grip plus size mannequins during a photocall for their unveiling at Edinburgh College of Art, Scotland January 16, 2012. Shares in Stitch Fix dropped as much as 29 percent on Dec. 11 after the company reported quarterly revenue and earnings that beat analyst estimates, but said user growth was slower than the previous quarter. Stitch Fix, which sends customers packages of clothing picked by its own stylists, had 2.9 million customers in the quarter ending Oct. 27, a 22 percent increase year-on-year. At the end of July its user numbers were growing at a 25 percent annual rate. It said it did not expect to increase its active customer numbers in the current quarter. The company, which listed on NASDAQ in November 2017, forecast revenue for the quarter ending in January at between $360 million and $368 million. Analysts were predicting $362 million, according to I/B/E/S estimates from Refinitiv.